When making video games, certain things can be cut to lower the overall cost – that much is (or should be) commonly known. But in most cases, there’s no getting around the rather pricey prospect of licensing an engine, and that also goes for GameMaker Studio 2; or at least it did until the recent release of GameMaker Studio 2 Creator Edition. 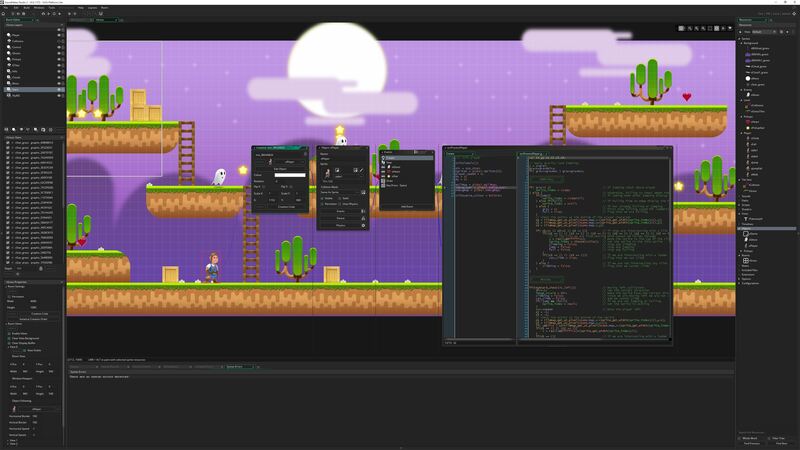 Imagine this: you’ve gone through the tutorials, done all you can with the trial version of YoYo Games‘ popular GameMaker Studio 2 engine – now what? Now, courtesy of a recent addition, you have a choice to make: spend $99 on a permanent desktop publishing license, or… $39 on a Creator Edition license. With the Creator edition, we’ve listened to community feedback and introduced a low-cost 12-month licence model, which gives budding developers the opportunity to progress beyond our ‘first game’ tutorial and use all our game design features. Downside to the latter is that it only lasts twelve months, but having to fork over an additional $60 if you aren’t 100% certain about using it beyond year one? Yeah. Hardly ideal. Oh, and speaking of percentages: if you decide to upgrade from GameMaker Studio 2 Creator Edition, there’s a 30% discount in place, making the transition ever so slightly easier on the wallet. Yay, savings!